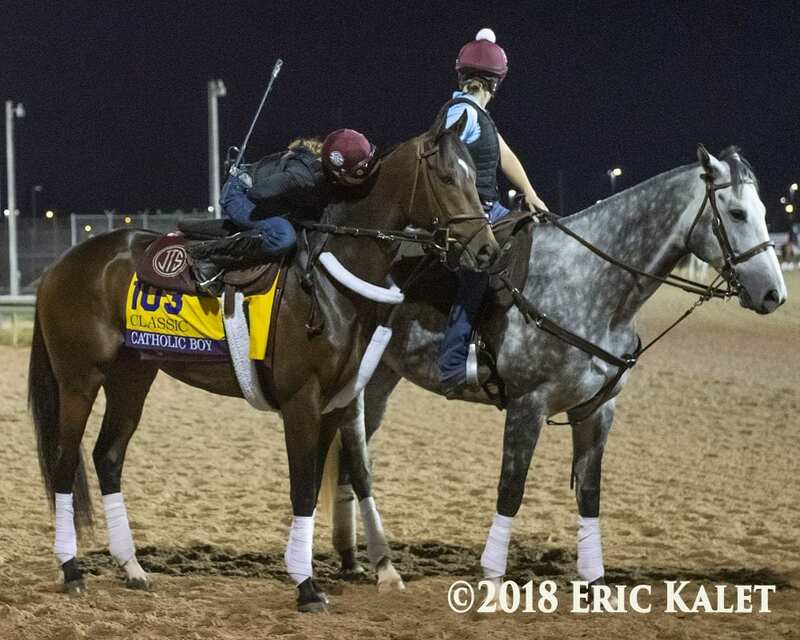 Jonathan Thomas' trainee Catholic Boy finished a disappointing 13th out of 14 in Saturday's Breeders' Cup Classic at Churchill Downs, but it was easy to see why as soon as he returned to be unsaddled. The dual Grade 1 winner on turf and dirt suffered a gash on his left ankle, according to drf.com, which may have occurred when he was squeezed back at the start of the race. Catholic Boy will race on as a 4-year-old, Thomas confirmed, though he will not be considered for the upcoming Pegasus races in January. Instead, the son of More Than Ready will get a solid break at Bridlewood Farm in Ocala with an eye on a 2019 campaign. Thomas suggested the G1 Whitney at Saratoga as a possible long-range target, and added that the colt could again race on both surfaces next season. This entry was posted in Breeders' Cup, NL List and tagged Breeders' Cup, breeders' cup classic, Bridlewood Farm, catholic boy, churchill, churchill downs, Jonathan Thomas, More Than Ready, Whitney Stakes by Paulick Report Staff. Bookmark the permalink.